Twitter Social Media Marketing is a must-have format to reach your target customer. As of September 2017, Twitter had an average of 330 Million Monthly Users. Twitter is a Micro-Blogging site. People use it to share their opinions, keep up with News (entertainment, local, world, politics), and engage with other like-minded people, and Brands. Twitter is a conversation that consumers follow, and engage in. Being a part of the conversation is vital. Ace Mod is here to help. Like with Instagram and Facebook, likes to your Twitter Business page is important, as well as gaining followers, but what is even more vital is engagement. Re-tweets and Replies are what to strive for. When a User Re-tweets or Replies folks who follow them see the “share”, and the conversation. This increases impressions and helps to make your Brand more familiar to your Target customer. People want to learn and engage with Products, Services, and Brands. They follow businesses to keep up to date with products that interest them. They also want to know about any offers or promotions immediately, in “Real Time”. We will help keep your Twitter regularly updated with content that engages consumers, also creating “shareable” content. Information and Entertainment, not just Ads. Twitter users don’t want Ads only. On the contrary, if they only see Ads from your Brand they will see it as Spam and either ignore or un-follow. Ace Mod can help create unique content to share with your customers, as well as compelling Ads. 2018 is the Year of Twitter Business Increase Use. Statistics state that in 2018, 66% of marketers are planning to increase their use of Twitter this year. We will help make your business part of the Micro-Blogging conversation. Ace can help set-up your Twitter profile, create and Post engaging content, and manage it on a more-than-daily basis. Twitter drives short and long-term sales. Approximately 72% of Twitter followers are more likely to buy something after following and engaging with a Brand on Twitter. Keeping your Twitter updated with unique, optimized content is key, as well as offering your Target education about your product, or service, and notice of sales and promotions. Tweeting can increase your ranking and visibility in Search. Twitter works with other SEO elements to increase your business’ ranking on all Search Engines, as well as keep it there. A combo package of SEO and Social Media Management will give your business the very best chance at success. Contact Ace Mod to find out more. We want your business on all Social Media Networks. Twitter Social Media Marketing is vital to your Business and Brand. 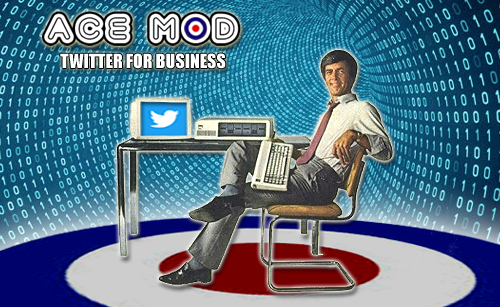 That said, we want your Business on Twitter as a priority – starting Today, and multiple times a day, everyday following. Daily Postings are vital for Social Media. Multiple times a day Postings are ideal for your Brand on Twitter. Ace Mod are Twitter experts. Reach out and let us help set your Twitter up, and add engaging content to it multiple times a day, every day. Contact us today to discuss the best Twitter options for you, and be sure to ask about SEO and Social Media packages tailor-made for your business.